I wanted to make a simple climate model from scratch, so I took some of the data that's available and created one. I've written up the process in detail here for anyone who wants to do something similar and have created a simple tool using this that you can play with here. Note that I am cross-posting this from another website I run called CityProjections since it fit with the theme of this blog. 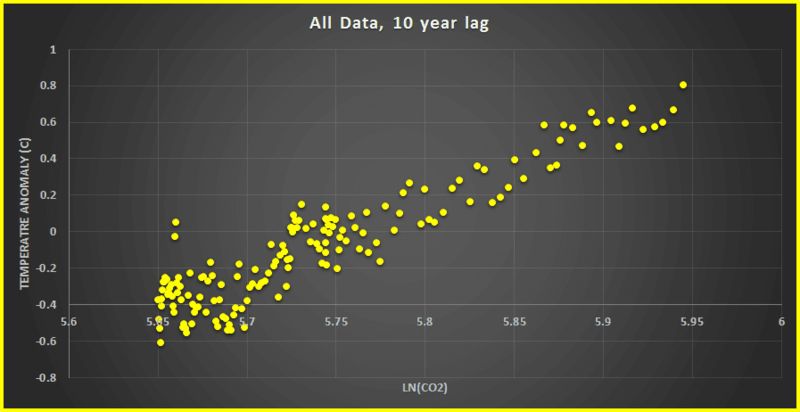 For the time period in question, CO2 levels are enough to roughly predict average global temperature anomaly (anomaly is the current temperature minus the average temperature from a reference period). That's it. 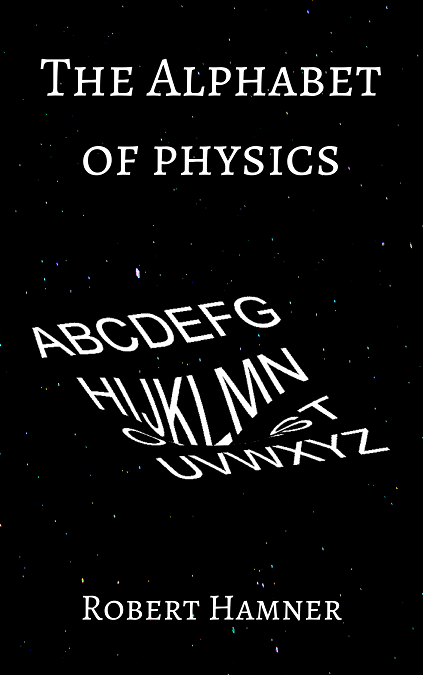 That's the only assumption this is based on. It should be clear from that statement that this isn't a rigorous model. I don't try to factor in ice albedo, aerosol levels, etc. 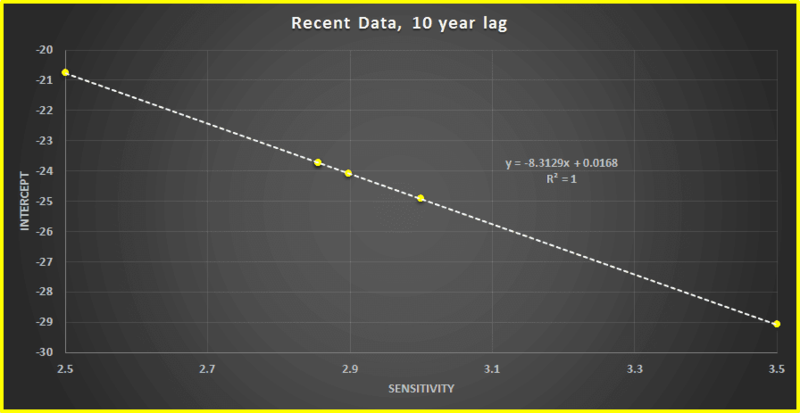 This is basically a curve fitting exercise to crudely estimate how sensitive temperature is to CO2 levels that I found fun and is not a valid scientific way to project temperatures. For better/more robust projections, use something like the CMIP (I use CMIP5 for most of the projections on this site). A question then arises. 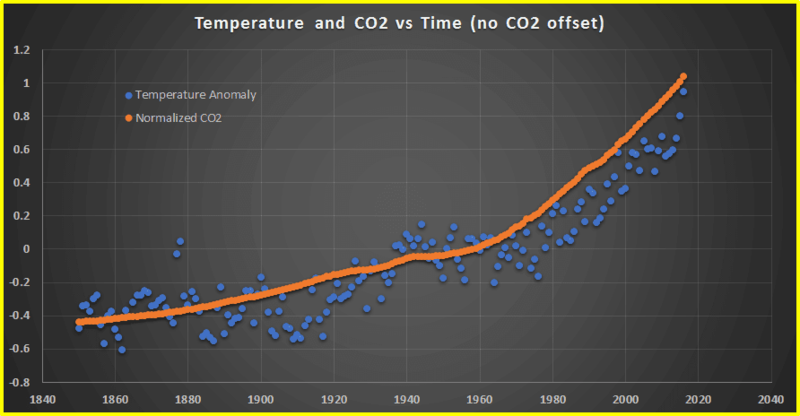 How good are our temperature data sets? 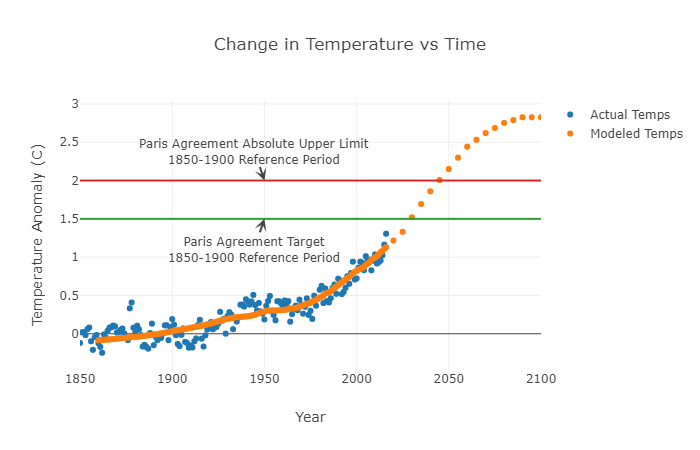 The temperature data I linked earlier have the uncertainties associated with them, and they trend down until the last few decades. Arbitrarily taking 0.05 degrees as the uncertainty to stay below, that means temperatures from 1960 on are more accurate. 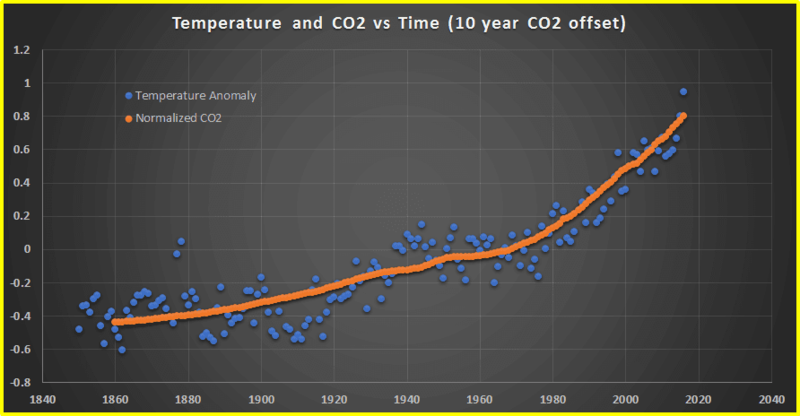 That means we can work with temperatures from 1960 - 2016 and CO2 levels from 1950 - 2006. 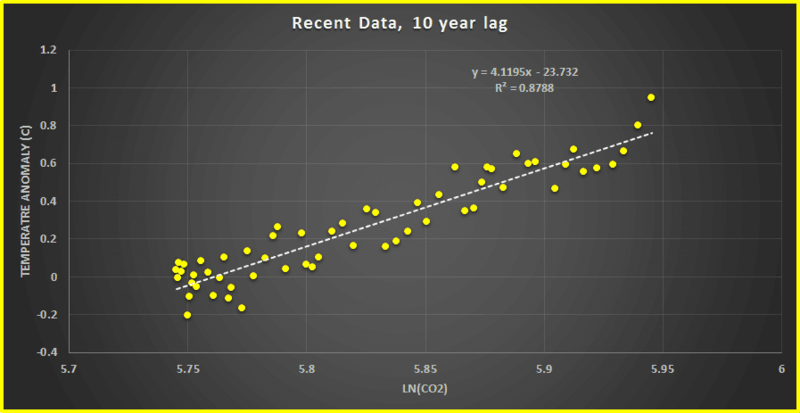 Thus, doubling CO2 increases the anomaly by m*ln(2). In other words, the 'sensitivity' here is just the number in front of ln(CO2) multiplied by ln(2). For the fit we had above, that gives us ~2.86 and that is the default value in the tool I mentioned at the beginning.